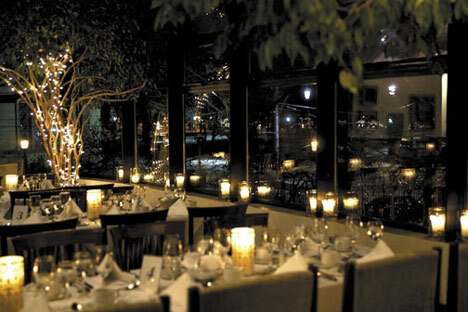 The Most Romantic Restaurant in Toronto? 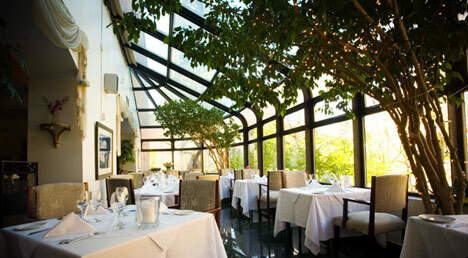 It has been described as one of Toronto's best unkept secrets and in 2007 it was voted the city's Most Romantic Restaurant. 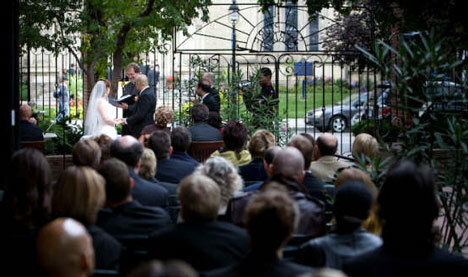 And better yet, from our bride-centric viewpoint, they have been hosting weddings for over 15 years. In fact most all of their summer Saturdays are booked with weddings.. so you're basically guaranteed a flawless event. Sounds perfect, no? La Maquette is actually a historical landmark, overlooking Toronto's sculpture garden. The building has two levels. 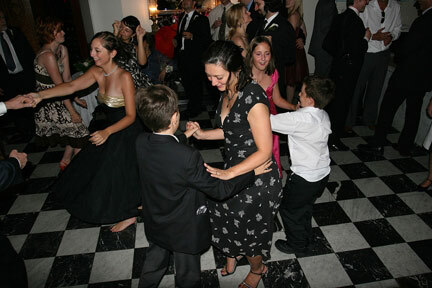 The ground level is comprised of a large patio area within the sculpture garden (perfect for wedding ceremonies) and the reception area designed in an empire style featuring a checkered Italian marble floor which can be used as a dance floor and receptions up to 100 guests. 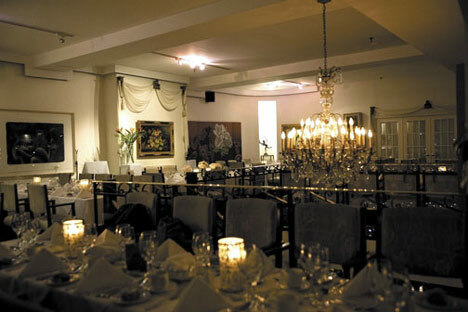 The second level has grand chandeliers and artistic design for formal dining up to 150 guests. 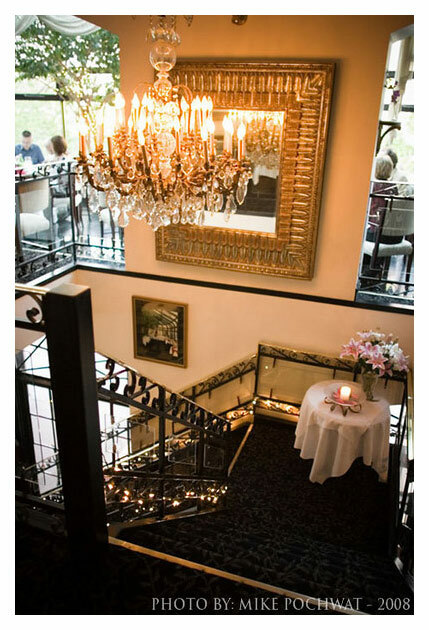 So really, they can offer the best of both worlds: relaxing afternoons next to the waterfall and flowers of the Toronto Sculpture Garden, or formal, sophisticated evening affairs on the artfully decorated second level. 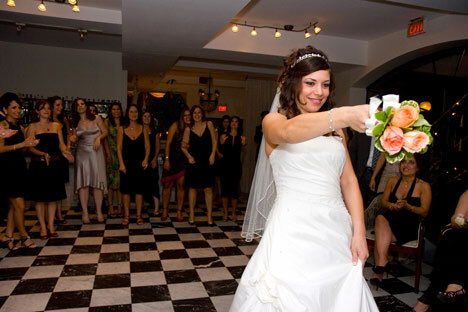 You can book pretty much any combination of the the various rooms, to accommodate events from twelve to 350 guests.. both Ceremonies and Receptions. There are six or seven different combinations listed on their website. 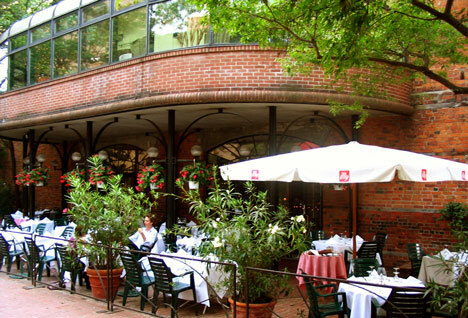 We couldn't possible list their various award-winning menus here either. 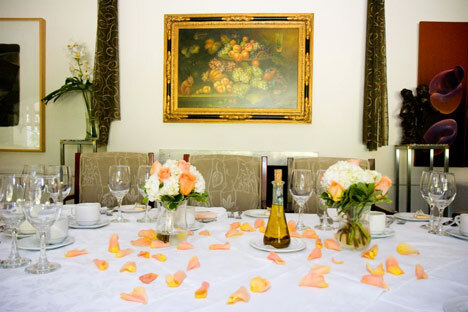 There is everything from casual patio menus, special wedding and event packages, food stations, even wedding-specific services like cakes etc. Contact them and request a copy of their Corporate & Wedding Dinner Package - it is 22 pages long! Oh, and here is a recent review from Metro newspaper, too.